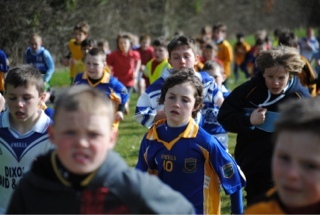 We had a very enjoyable day, 48 students from Rathbeggan NS traveled to the primary schools’ cross country competition in Fr.Murphy's AC , Athboy, with many of the children competing for the first time in a cross country competition. 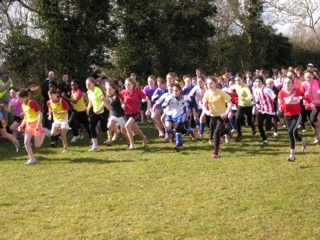 It was well organized with a large turnout of up to 100 kids in each race. The track was very clearly laid out and the ground was in perfect condition, not a muddy puddle in sight, and thankfully the rain held off. The first race of the day was the girls of 1st and 2nd class 400mtrs with Ratoath AC club new member Sarah Maher coming in 31st, Jasmine Murray doing very well also. The Boys of 1st & 2nd class 400mtrs had no Rataoth AC athlete in this race, but Rathbeggan’s Ronán Byrne (2nd class) came in 5th place. 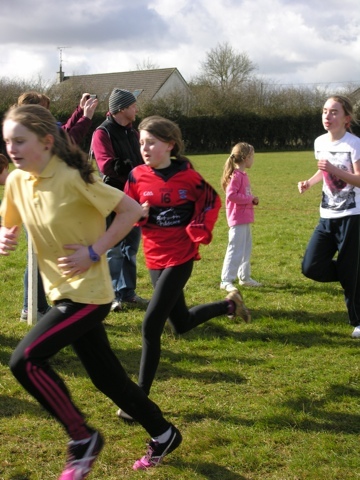 Next was the Girls 3rd & 4th class 600mtrs, with Orla Hayes (4th class) putting in a great race, coming in 5th. 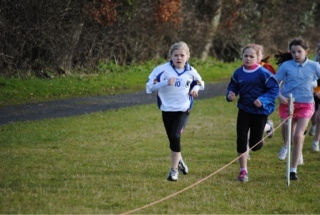 Caroline Murphy (3rd class) showing great heart in finishing well. In the Boys 3rd & 4th - 600mtrs, Fionn Drummond (3rd class) ran a very strong race, coming in 11th and was Rathbeggans 1st boy home. Marcus Zaidan (3rd class) showing well for his first time in a cross-country race. 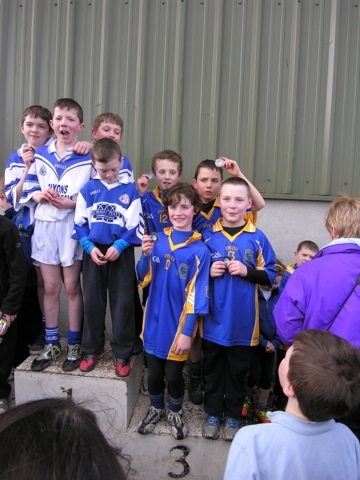 The 3rd & 4th class boys team came 3rd overall in the competition. Boys 5th & 6th class - 800mtrs had new club member Michael McHugh (6th class) 20th,and Kritsada Cooke 5th Class also finishing well. The children all enjoyed the experience and a big thank you to Mr.Rushe and Ms.Devine for making the effort in bringing the school to the competition. 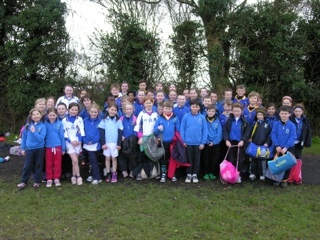 St.Pauls N.S 5th and 6th class also traveled to Athboy. Club members Rachael Doherty, Zara Kane, Emma McCamley, Harry Haskins, and Harry Bailey all competed for St. Paul's in the 5th and 6th class race over 800m with over 100 runners in the race. Well done to them all.